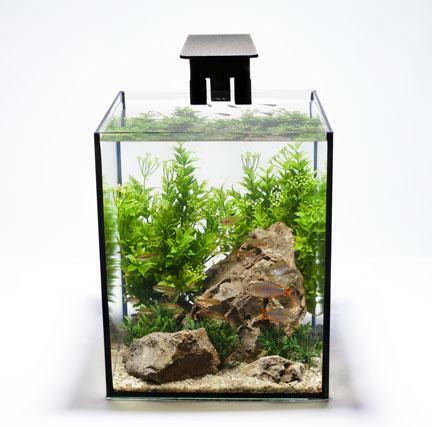 Many hobbyists invest in the large, elaborate, extensive systems we are used to seeing on the web. 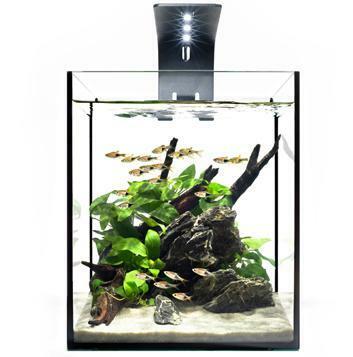 Well, every wanted something unique, small, low maintenance, and is absolutely bitchin’? 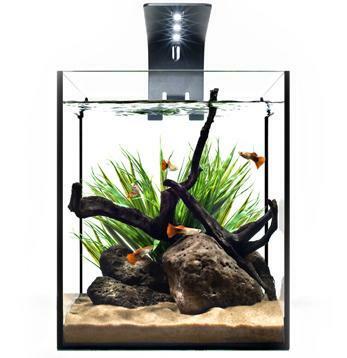 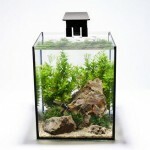 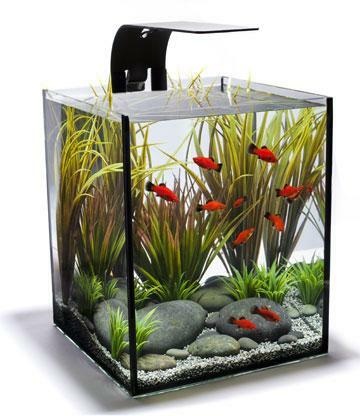 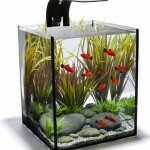 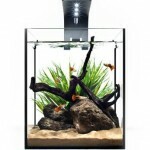 Well, the Ecoxotic EcoPico desktop aquarium may be just what you’re looking for. 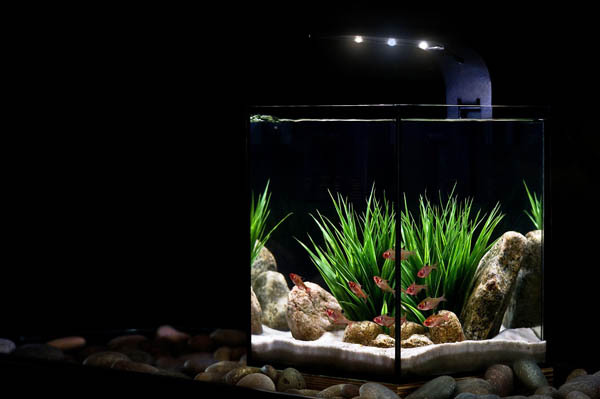 The EcoPico is an elegant, rimless glass cube, with no bulky filter, no plastic frame, and includes nothing that would take away from it’s aesthetic brilliance. 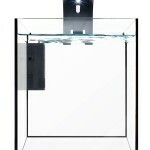 In line with the minimalistic approach, Ecoxotic used an ultra-thin, sleek LED lighting arm. 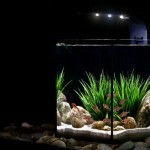 A perfect blend of blue and white LEDs cast a beautiful light, and brilliant shimmer, while consuming a minimal amount of electricity. 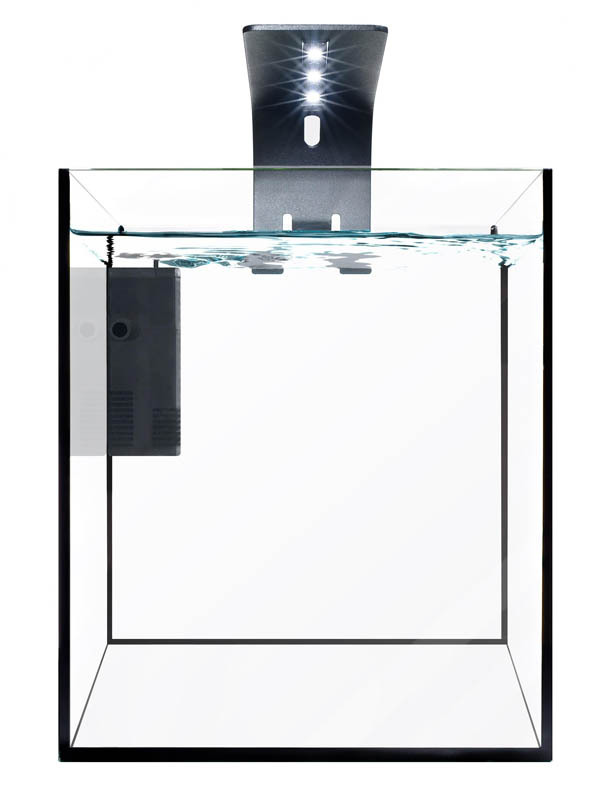 The 6mm glass rimless EcoPico includes an internal filter with pump, beveled glass top with mounting clips and LED lighting arm with 12k/blue LEDs. 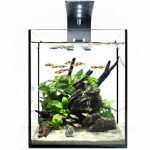 A lighting upgrade is available with the addition of a 4-way splitter (independent control can be accomplished with the use of a 12V power supply).